It wasn’t long ago that China was being hailed as the world’s great hope for solving our climate crisis. Unless the planet’s biggest polluter signed off on doing something about the environmental emergency that confronts us, it was thought, reducing carbon emissions to the levels required was seen as virtually impossible. And there were promising signs the People’s Republic was finally ready to be that climate champion. Seemingly overnight, the country became the leading market for renewables. Its massive solar farms alone were said to be transforming world energy. We cheered when China endorsed the United Nations Paris agreement to intensify efforts to combat rising greenhouse gases – even though its commitment was non-binding. Alas, the praise seems to have been a tad premature. As it turns out, the country’s Communist leadership has slammed the brakes on its plans to fight climate change. 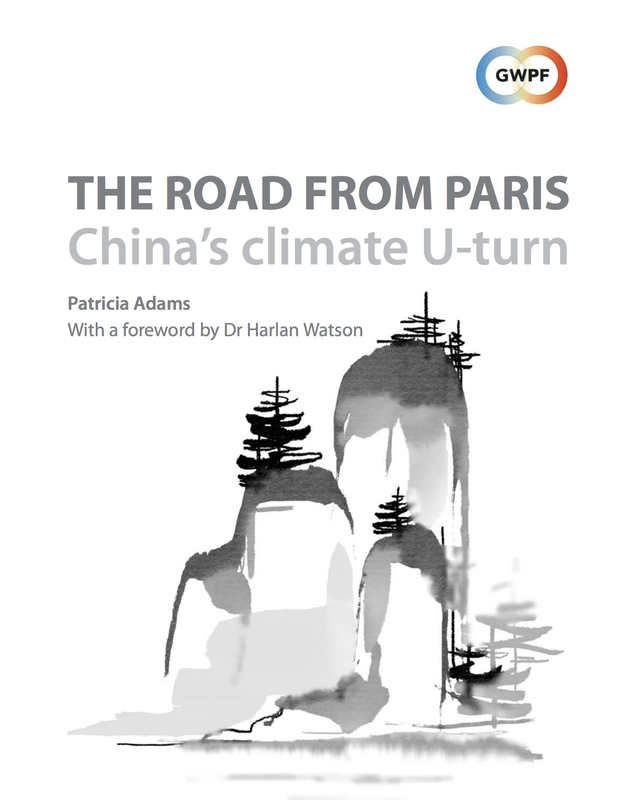 The Global Warming Policy Foundation recently published a new report by Ms. Adams entitled The Road from Paris – China’s Climate U-turn. It’s grim reading for anyone who believed the Chinese wanted to be full participants in the war on pollution. So what happened? Political realities got in the way, of course. The Politburo is focused on economic growth. Enhancing the standard of living is essential to keeping the country’s massive population happy. It’s a job that’s also become more complicated and challenging as a result of a brewing trade war with the United States. And so, without the time or patience to wait on green energy to fuel its progress, China has doubled-down on conventional sources, according to Ms. Adams. That source of choice is natural gas. Over the past year, demand for energy in China has increased substantially – in the case of liquefied natural gas (LNG), by 15 per cent. The country has clearly placed its chips on this cleaner-burning resource, rather than renewables. Nonetheless, coal consumption – from which we were told China was weaning itself – increased last year for the first time since 2013. Many coal-fired plants that had been dormant have quietly started back up, according to data compiled from recent satellite images. “Demand [for coal] has been driven by the combined forces of economic growth, higher power consumption, natural gas shortfalls, and reduced hydro power,” Ms. Adams writes. Meanwhile, China had made a large investment in wind and solar development – industries that rely heavily on government subsidies. But China is now nearly US$19-billion in arrears to renewable-energy companies, according to Ms. Adams’s report. It had been eyeing the Green Climate Fund, an initiative that sprang from the Paris conference three years ago. Under the plan, the European Union and the United States were going to be the fund’s primary backers. It was envisioned there would be US$100-billion available to Third World countries to help them develop green technologies and reduce their reliance on fossil fuels. But that fund has mostly been abandoned. Money which China planned to access to help underwrite the subsidies it committed to never materialized. It’s a big reason why the country has taken a U-turn on its environmental agenda: It no longer has the economic incentive to keep pushing forward with renewables. “With green energy an abject failure in terms of meeting China’s need for either energy or clean air, all that’s left is propaganda,” Ms. Adams says. It’s all pretty depressing stuff, and certainly undermines whatever comes from the latest United Nations climate talks wrapping up this week in Katowice, Poland. There are certain to be self-congratulatory communiqués that signal progress, but as long as China isn’t playing – and as long as U.S. President Donald Trump denies that man-made climate change is even a reality and ratchets up coal production instead – little advancement will be made; certainly not enough to stem the progression of temperature change we are witnessing and the devastation it will bring. The fact is, the global-warming deniers are winning right now. Even those who would acknowledge something might be amiss with our climate figure it’s a problem future generations can deal with – a group that seems to include many conservative-minded politicians in this country. But they will be long forgotten when those future generations are dealing with the fallout from the woeful inaction and neglect we are witnessing around this problem. As for China? Well, anyone harbouring hope the superpower would lead a green revolution should put away those fantasies now. What was supposed to be China’s second Great Leap Forward is heading in the wrong direction.